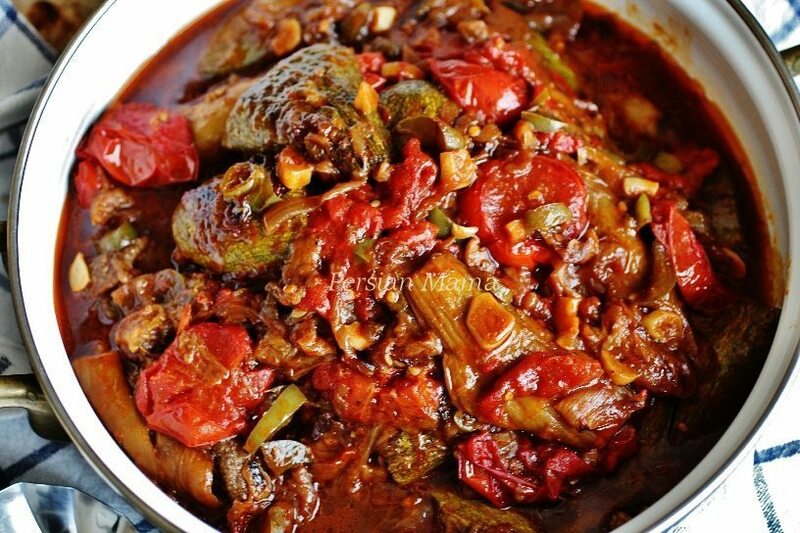 Borani Kadoo va Bademjan is a vegetarian dish made with squash (kadoo) and eggplant (bademjan) and slices of fresh tomatoes and garlic. 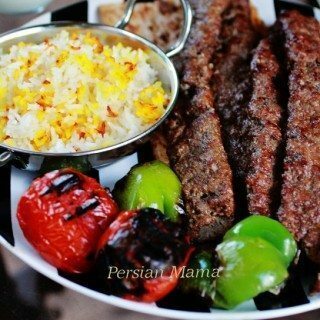 It is served with plain yogurt on the side and the red powder you see on top of the yogurt is a dash of cayenne pepper. 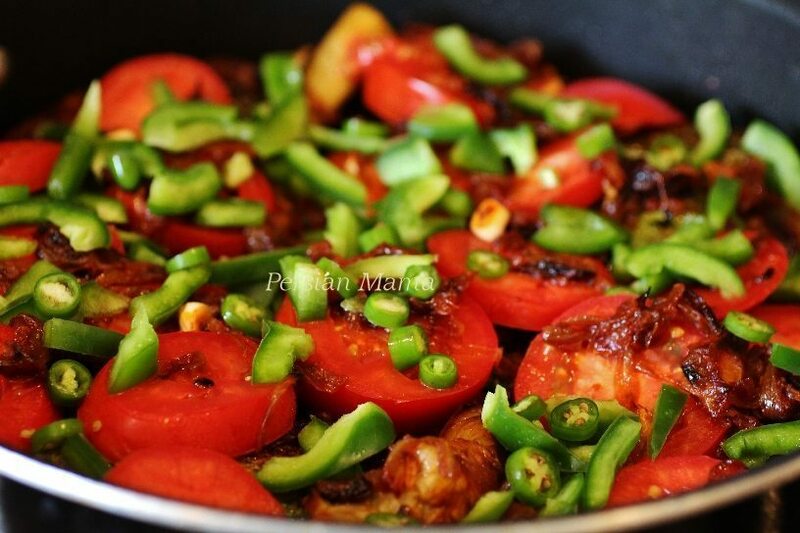 This bornai gets its spiciness from serrano peppers that add flavor and heat. If you like more heat add more peppers, or just spice up the yogurt with ground cayenne pepper like I do! If you prefer a less spicy Borani just leave the serrano peppers out. 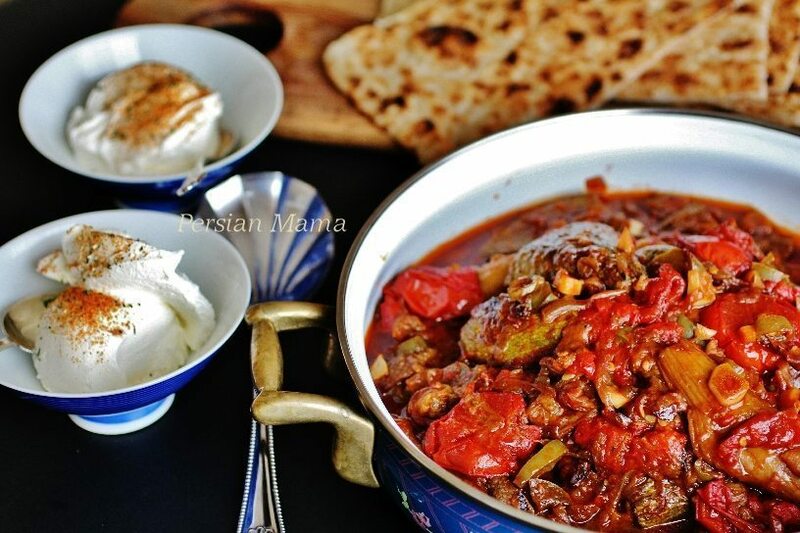 As the many Borani dishes (Borani Bademjan, Borani Reyhan, Borani Esfenaj) in Persian cuisine, this borani is also served with yogurt and toasted flat bread; it can be a main dish as well as an appetizer. The Borani kadoo va Bademjan can be cooked with fresh tomatoes or canned tomatoes, but the fresh tomatoes taste so much better in this recipe and I would recommend using them instead. 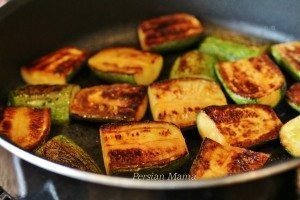 I have used the Mexican Grey Squash in this recipe which is the type of squash that grows in Iran and has a light green skin; however the regular green zucchini squash will also be perfectly fine in this recipe. As far as the eggplants, I would recommend not using the large Western Globe variety. 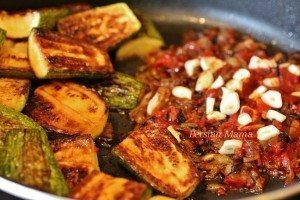 Both the Chinese or Italian eggplants work beautifully in this recipe. The Borani Kadoo va Bademjan always used to signal the arrival of summer in our house when I was young. 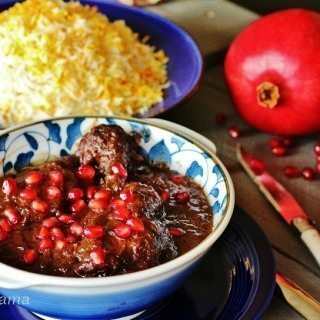 Like most of my Persian recipes, this is my mom’s recipe and she made it regularly every summer with the freshest produce from the produce bazaar. Back in the day zucchini, eggplant and tomatoes were only available in summer months in Iran, so it was not really possible to make this except in summer. I remember the appetizing aroma of this lovely dish filling up the whole house with all the healthy beautiful ingredients that she sliced and prepared so meticulously before simmering them together in her large skillet. I loved the hot peppers that she used in this dish, I can’t find those in the markets here but serrano peppers do a marvelous job. The eggplants are peeled, cut in half lengthwise and baked. Leave the skin on squash and quarter all of them, then fry until golden brown. Make the sauce and layer the skillet with browned squash and baked eggplants. Then add the sliced tomatoes and peppers on top. Simmer covered until the sauce is thickened and flavorful. 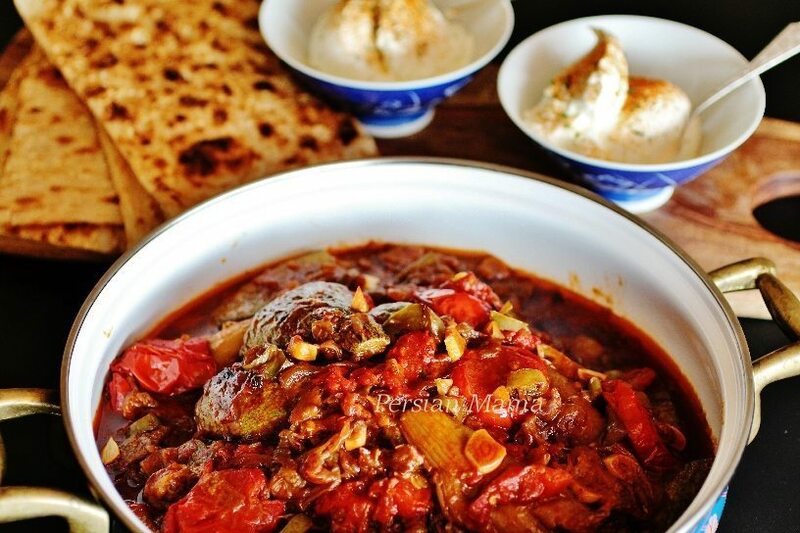 Enjoy Borani Kadoo va Bademjan with Sangak or other flat bread and a side of plain yogurt with Salad Shirazi or Sabzi Khordan. Meanwhile add ⅛ cup oil and sliced zucchini to a large nonstick skillet. Cover and brown over medium heat for 15 minutes. Turn the other side, reduce heat to medium low and brown for 10 minutes. Remove from the skillet, set aside. In the same skillet heat 3 TBSP vegetable oil and fry the sliced onions over medium heat until golden brown. Add the tomato paste and saute over medium heat for 5 minutes. Add the sliced garlic and saute for another 2 minutes. Add hot water, 1 tsp kosher salt, and ⅛ tsp black pepper to the skillet and bring it to a boil. If you opt to not use serrano peppers, increase the black pepper to ½ tsp. Layer the prepared eggplant and zucchini slices in the sauce. Add the tomato slices in a single layer on top. Sprinkle with diced bell pepper and optional sliced serrano peppers. Cover the skillet and simmer over medium low heat for one hour, or until most of the liquid is cooked off and the sauce has thickened. You may adjust the salt and pepper to your taste anytime during cooking. Occasionally use a spatula to just move the ingredients in the sauce. Do not stir, you want to preserve the layered look. Use a large spatula to transfer the Borani to a serving platter. 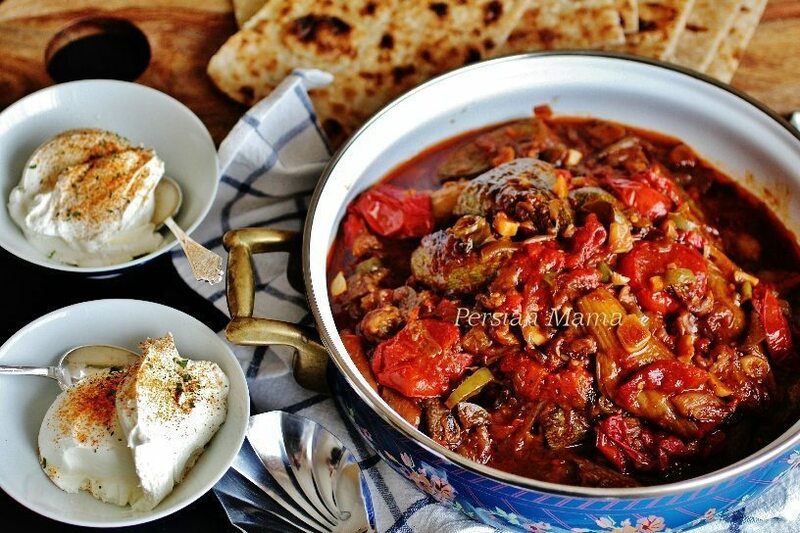 Serve this yummy Borani right away with a bowl of Greek yogurt and a side of Salad Shirazi. I sprinkled the yogurt with just a dash of ground cayenne pepper, but that is only a matter of taste. 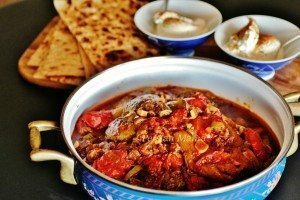 Traditionally the Borani is served with toasted flat bread, such as Sangak or Lavash, or pita wedges, but it will taste great with crusty French baguette pieces too. I will have vegetarian guests on a Saturday evening, but it might be a challenge to cook it during that day. Can I make this dish ahead and freeze? Dear Brisa, yes that should be fine! 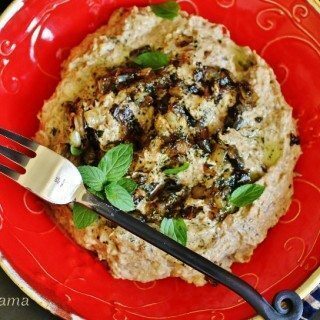 That is the beauty of zucchini and eggplant, they freeze very well, and I’m pretty sure the whole dish freezes well also, though I have never tried it myself, so let me know how you like it!! Thank you, I’ve purchased the squash and eggplants today as I am preparing to cook it in a few days. I’ll be adding 1 Anaheim pepper in the hope that it won’t be too spicy for my guests. I wonder, would it be OK to make this dish with canned tomatoes? If so what type of canned tomato would you recommend? If I go with fresh tomatoes, should they be peeled? Hi Brisa, I have to say, this borani is good when it has a little kick to it; at least that is how I like it, so I hope your guests will enjoy the anaheim in it. I have never made this with canned tomatoes. If you have to, use the diced canned tomatoes. No you don’t have to peel the fresh tomatoes, just slice them into thin rings. I tried this recipe over the weekend. It’s a keeper! I did use fresh tomatoes, but I roasted/baked the eggplant and the zucchini (I used the same oven method for both) ahead of time and froze them along with onions that I fried and stored in the freezer too. On the day of, all I had to do was thinly dice the peppers/mince the garlic, slice the fresh tomatoes, and prepare the sauce as directed. It was easy and had a wonderful flavor. Next time, I might add a few drops of brewed saffron and lime juice or verjuice. 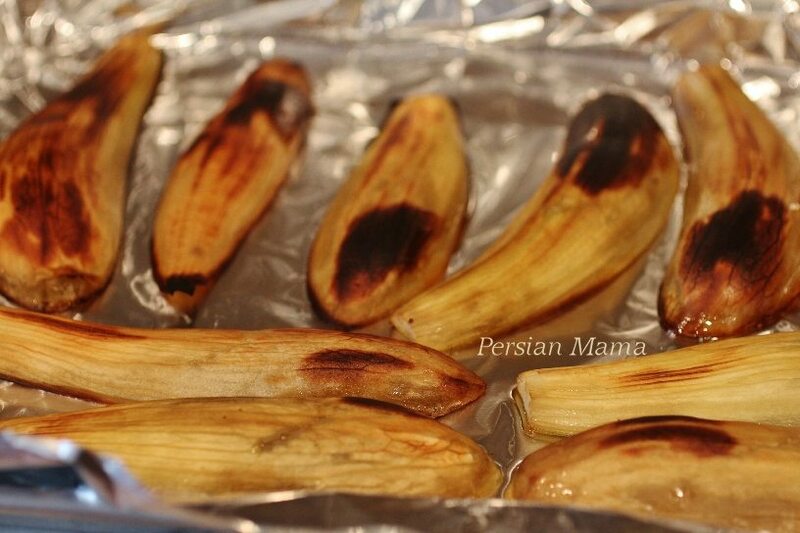 Hello Brisa, I’m glad that you enjoyed the Borani and found freezing the cooked eggplant and zucchini helpful. 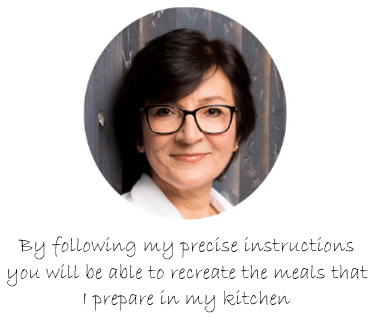 I love all your recipes,I wish you had a cook book!